It is with pleasure that we welcome Laird Scranton, AoM September, with his eighth book in a series on ancient cosmology and language, Decoding Maori Cosmology. 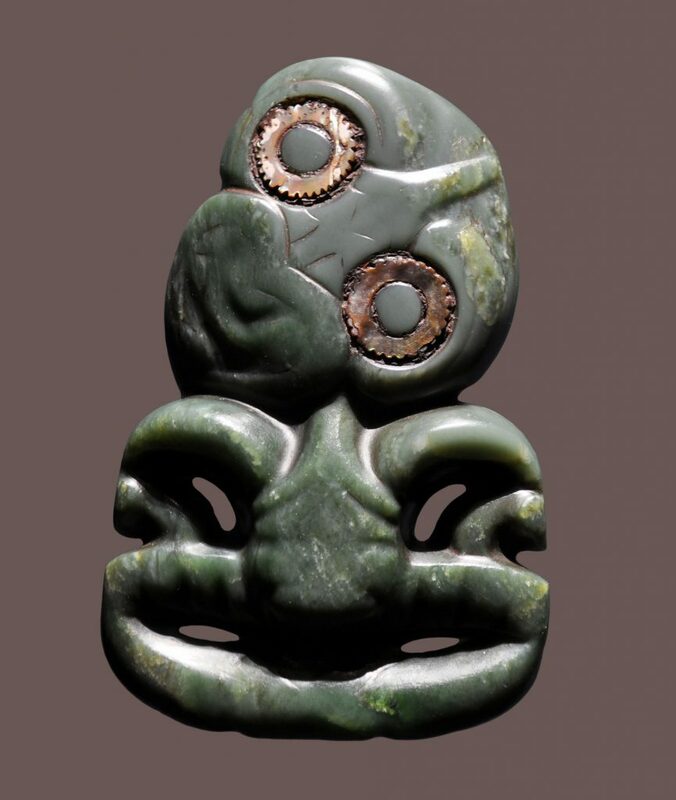 Scranton shows not only how cosmological concepts and linguistic roots that began at Göbekli Tepe are evident in Maori cosmology and language, but also how striking similarities exist between Maori, Dogon and Egyptian languages and Maori, biblical and Hindu traditions. The term ancient cosmology refers to the ways in which early cultures conceptualised processes of creation—more specifically how the universe and matter formed, and how the processes of biological reproduction came about. It may surprise some to learn that ancient cultures often envisioned these processes in remarkably similar ways—even societies that may have been distantly separated from other groups. One of these distant locales—in fact, one of the last places on Earth thought to have been permanently inhabited by humans—is New Zealand, a pristinely beautiful group of islands set to the south and east of Australia. The Maori (“mow-ree”) are a Polynesian tribal group who are thought to have been the first permanent inhabitants of New Zealand. Tradition holds that the Maori arrived by sea in canoes no earlier than 1100 AD and took up residence in New Zealand only a few hundred years before the arrival of the first European explorers, who eventually made port there in the 1500 and 1600’s. Maori traditions and language are largely consistent with those of other Polynesian cultures, which spread widely across the Pacific Ocean. However, New Zealand’s remote location may have allowed Maori culture to persist largely undisturbed for centuries. 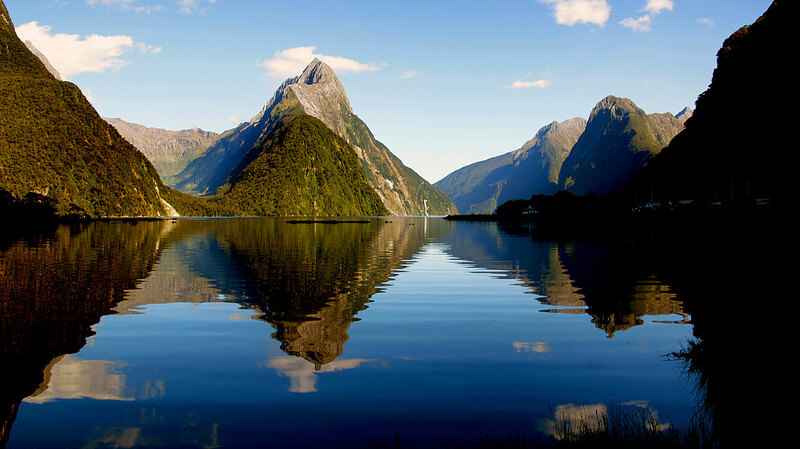 Milford Sound, an area of outstanding natural beauty, New Zealand (CC0). 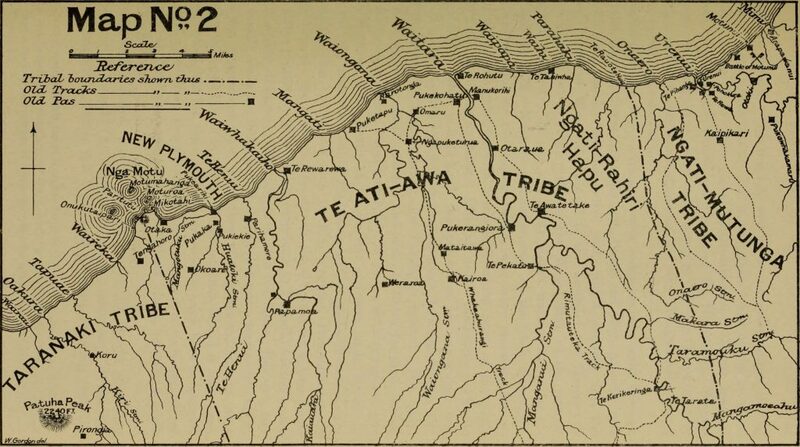 History and traditions of the Maoris of the west coast, North Island of New Zealand, showing tribal boundaries prior to 1840 (Smith, Stephenson Percy, 1910). Maori cosmology is expressed through many of the same commonly shared themes and symbols that we so frequently observe in other cultures—the spiralling coils, clay pots and serpents that constitute Carl Jung’s archetypes. My field of study is called comparative cosmology, which means that I try to learn more about the meanings of these symbols, myths, words and practices by comparing how different cultures understood specific symbolic elements. My job is less to interpret symbols or words than to test the reasonableness of interpretations that were flatly assigned to them by various ancient cultures. My recent book Decoding Maori Cosmology is the eighth in a series on ancient cosmology and language, whose focus has moved geographically from Northwest Africa to ancient Egypt, then to India, Tibet, and China, to ancient Turkey (Göbekli Tepe in the Fertile Crescent region), and most recently to Orkney Island in Northern Scotland. My entry point to these studies was through the eyes of a modern-day African tribe from Mali, known as the Dogon. The Dogon make a good foundation for comparative studies partly because their tradition preserves elements of three classic ancient cosmological traditions (Judaism, ancient Egypt and Buddhism), and partly because the Dogon are a priestly tribe who place high cultural priority on the preservation of original forms. 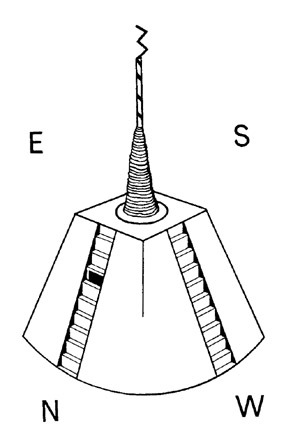 The grand symbol of the Dogon cosmological tradition is an aligned shrine, whose base plan and symbolism are a close match for a Buddhist stupa, and stands in relation to a very similar symbolic system. The Dogon and Buddhists each understand their esoteric systems as an anciently-instructed civilising plan, one that was closely entwined with a symbolic cosmology. An important aspect of the Dogon societal ethic to preserve original forms is their spoken language (unlike the ancient Egyptians, the Dogon did not adopt a written language). The Dogon language is technically unclassifiable, because it serves as an umbrella over some seventeen distinct language subgroups. In this context, many of the Dogon words correspond to ancient Egyptian words that went out of use by around 750 BC. Others align with words of the Dravidian languages of the Tamil in India, or to ancient Turkish words. These subgroups provide us with a degree of comparability between ancient cultures and trace an effective path of descent, both historically and geographically speaking, for the Dogon cosmological tradition. Dogon words are formulated on root syllables that express foundational concepts. For example, the Dogon and Egyptian syllable na represents the concept of the feminine, nu the concept of water or waves, and ta the concept of earth or mass. These syllables provide building blocks that can be taken in combination to formulate more complex ideas. As it turns out, many of the key words of Maori cosmology are expressed using these same root syllables to the extent that we can often correctly predict a meaning for a Maori term by simply extrapolating meanings of the Dogon syllables. The earliest monograph on the Maori religion, Maori Religion and Mythology, was published in the 1920’s by ethnologist Elsdon Best, whose work brought him close to the Maori for many years. Best details an esoteric tradition for the Maori that in many ways closely mirrors that of the Dogon, one in which the question-and-answer dynamic between an initiate and an informant required twenty or more years to bring the student to a proper understanding of the innermost meanings of the tradition. 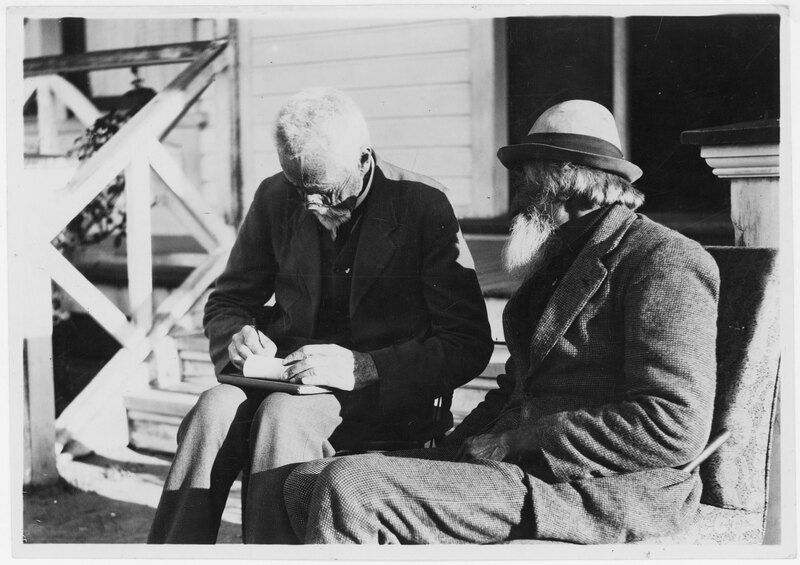 Elsdon Best (left) sitting with Hone Nukunuku on the steps of a house at Waiomatatini in the Gisborne Region, taking notes. Photograph taken in 1923 by James Ingram McDonald. 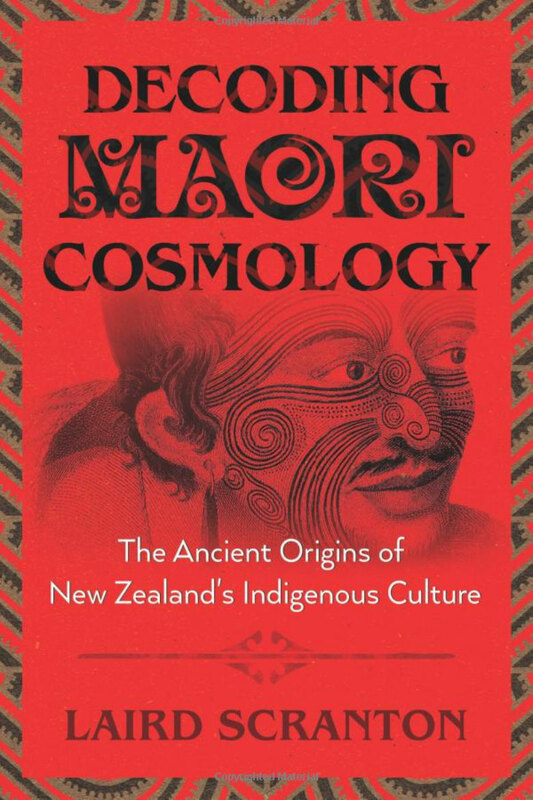 Another excellent resource for understanding Maori cosmological terms is The Maori-Polynesian Comparative Dictionary, compiled by Edward Tregear, a New Zealand public servant and historian who closely studied Maori religion, practices and language. It is a feature of the cosmological tradition that key words typically reflect not just one definition, but rather a cluster of related meanings, and so provide us with an important mechanism for positively correlating words between cultures. These correlations are made on the same basis that deities or other shared elements of cosmology are correlated, and so fall outside of the bounds of traditional etymology. (When the personal attributes, mythical actions, icons, hierarchical positioning within the cosmology, relationships to other deities of a pantheon, and other aspects of two deities positively align, it would be nonsensical to insist that their phonetically-similar names and shared secondary meanings do not also correlate.) Experience shows that these clustered meanings ultimately float with the cosmological concept, not the phonetics, and so allow us to posit correlating elements between languages that may seem quite different, such as the Dogon language and Sanskrit. Our studies suggest that Dogon cosmology rests on Samkhya, an early non-theistic cosmological philosophy that was a companion to the more personalised philosophy of Yoga. Samkhya is understood to have been foundational to later cosmological traditions of India, including the Vedic, Hindu and Buddhist traditions. First evidence of symbolic cosmology is arguably seen at Göbekli Tepe in southeast Turkey, at or just after 10,000 BC, and seems to have been carried into India by an archaic matriarchal group known as the Sakti (“Shakti” Cult, whose modern centre of worship is in Orissa, situated along the northeast coast of the Indian peninsula). In ancient times, Sakti Cult influences are thought to have extended as far south and east as Australia, where strong matriarchal elements have been observed. Another likely path of transmission for the tradition seems to have been southward from the Fertile Crescent region into Palestine sometime after 6000 BC, and then by sea to northern Scotland by way of the tip of North Africa in the centuries following 4000 BC. 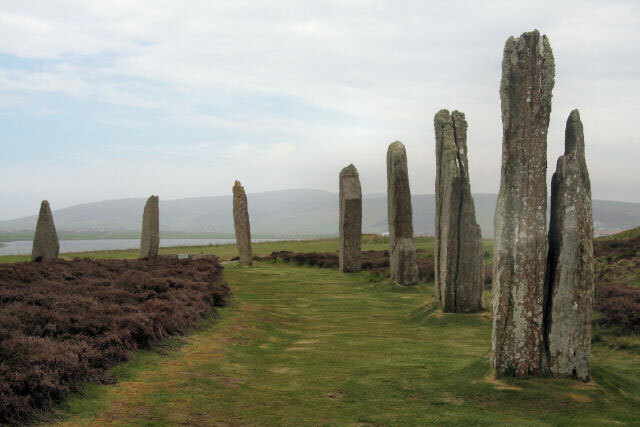 We can cite a half dozen different factors that positively link Neolithic Orkney in the UK, in the era of 3200 BC, to the region of the Fertile Crescent at or after 6000 BC. These include both an ancient breed of sheep and a variety of barley, each positively linked to Orkney by DNA testing. Ring of Brodgar, part of the heart of Neolithic Orkney World Heritage Site. Generally assumed to have been erected between 2500 BC and 2000 BC, it was built in a true circle, 104 metres wide. It is thought originally to have contained 60 megaliths, but today only 27 stones remain. 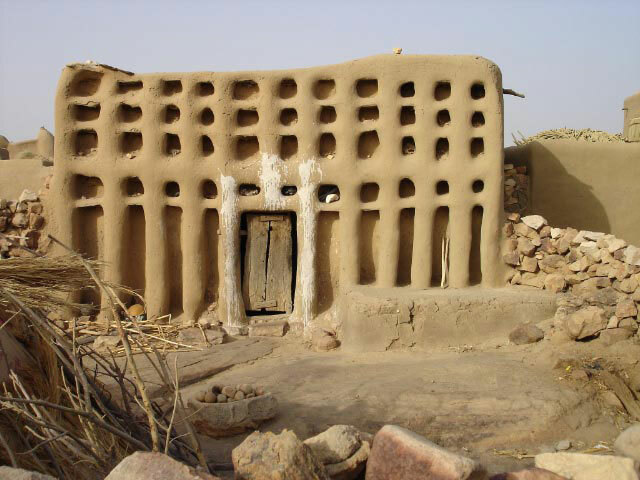 House of the Hogon, the spiritual leader of dogon people, Mali. Tregear and Best express a degree of confusion as to why artefacts engraved with Tamil writing have been uncovered in New Zealand, bearing no direct evidence of any Hindu deities (in truth, a traditional icon of the elephant god Ganesha might actually be present in the placement of stones that have been painted red). However, this discrepancy makes sense if Maori cosmology passed through the ancestors of the Tamil, before being passed to northern Scotland prior to the rise of Hinduism in India. An instructed cosmological tradition comparable to that of the Dogon, which is in keeping with what evidence implies may have existed on Neolithic Orkney, was carried forward through a system of Maori village schools. Maori experts known as tohunga played a comparable instructive role in Maori society to that of the Hogon priests of Dogon culture, and to female Yoginis in the archaic matriarchal tradition. According to Tregear, Maori schools were established to honour the memory of a mythical school situated far to the east. He writes, “The Maori culture established a similar temple-based school of instruction at the temple of Wharekura.” In his dictionary entry for the term, Tregear states that it was “a kind of college or school in which anciently the sons of priest-chiefs (ariki) were taught mythology, history, agriculture, astronomy, etc.”3 The Maori term Wharekura itself also bears possible relationship to Orkney, which we associate anciently with the Dogon and Egyptian term Arou or Aaru. The largest city on Orkney is Kirkwall, anciently called Kirkwaa, named after a church or sanctuary that has been historically situated there. Evidence suggests that the Maori name Wharekura derives from the combined terms Arou Kirkwaa. 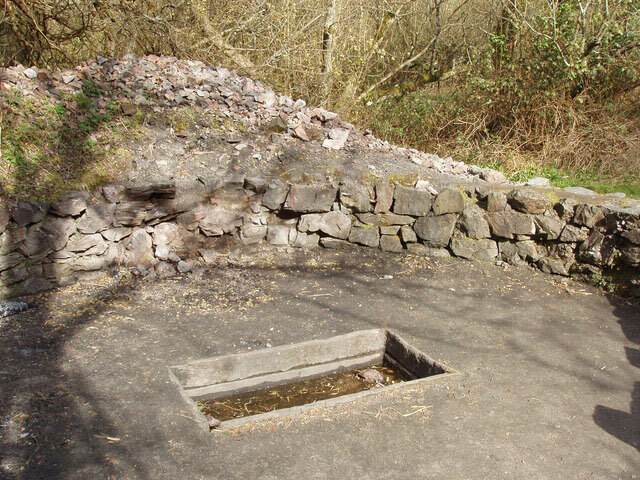 A Fulacht fiadh cooking pit in the Irish National Heritage Park. There are over 4000 remains of this type of pit in Ireland, and many theories about how they were used. Maori village schools, which were situated outdoors, were traditionally defined by a series of stones set in a horseshoe configuration. Further links between these schools and the UK are potentially seen in relation to the ancient horseshoe-shaped structures in Ireland known as fulacta fiadh. Such structures have been pervasively excavated, but no academic consensus as to their ancient purpose has been established. From a Maori perspective, these structures were village schools. This interpretation accounts for the amount that have been found in Ireland. The same suggestion is tentatively supported through the words of an ancient language of the Orkney region known as Faroese, where the term could be reasonably interpreted to mean folk academy. The earliest Scandinavian sagas reported two groups living side-by-side on Orkney. One (known as the Peti) was described as comprising of pygmies of unusual habit, the other (the Papae) as average-sized clerics who always wore white, and who were perceived as being so different from the Scandinavians that they constituted a different race. In the context of numerous other Dogon links to Orkney, it seems possible that the Scandinavians encountered the mythical Nummo teachers of the Dogon, whose habit it was to wear white and who (like the Maori) believe that they were the beneficiaries of cosmological instruction at a remote locale in ancient times. A comparable ancient Egyptian word nemma means “pygmy”. Pervasive but still controversial reports of short-statured people in the UK may have been at the root of fairy traditions there. A comparable, and again hugely controversial fairy tradition also persists in New Zealand. These are attended by structures that compare favourably to what are termed fairy mounds in the UK, typified by entrances set so low that a modern person of average stature would be required to crawl in. The disposition of these mythical short-statured people in New Zealand also aligns with those of the UK in that they were eventually hunted to extinction. 1. Hedges, John W., Tomb of the Eagles, 5. 2. Tregear, The Maori-Polynesian Comparative Dictionary, 15b. 3. Tregear, The Maori-Polynesian Comparative Dictionary, 613b. Best, Elsdon. “Maori Medical Lore.” 13 Journal of the Polynesian Society 13 (1904). ———. Journal of the Polynesian Society 16. ———. Maori Religion and Mythology. Wellington, New Zealand: W. A. G. Skinner, Government Printer, 1924. ———. Tuhoe, the Children of the Mist: A Sketch of the Origin, History, Myths, and Beliefs of the Tuhoe Tribe of the Maori of New Zealand; With Some Account of Other Early Tribes of the Bay of Plenty District. Wellington, New Zealand. 1st ed. The Board of Maori Ethnological Research, 1925. Brighenti, Francesco. Sakti Cult in Orissa. New Delhi, India: D. K. Printworld (P) Ltd., 1963. Budge, E. A. Wallis. An Egyptian Hieroglyphic Dictionary. New York: Dover, 1978. Calame-Griaule, Genevieve. Dictionnaire Dogon. Paris: Librarie C. Klincksieck, 1968. Denvir, Anne-Marie. 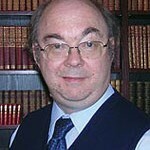 “Fulachta Fiadh—An Irish Mystery.” Undergraduate diss., the Queen’s University of Belfast, 1999. Hedges, John W., Tomb of the Eagles, New York, New Amsterdam, 1984. Saraswati, Swami Niranjanananda. 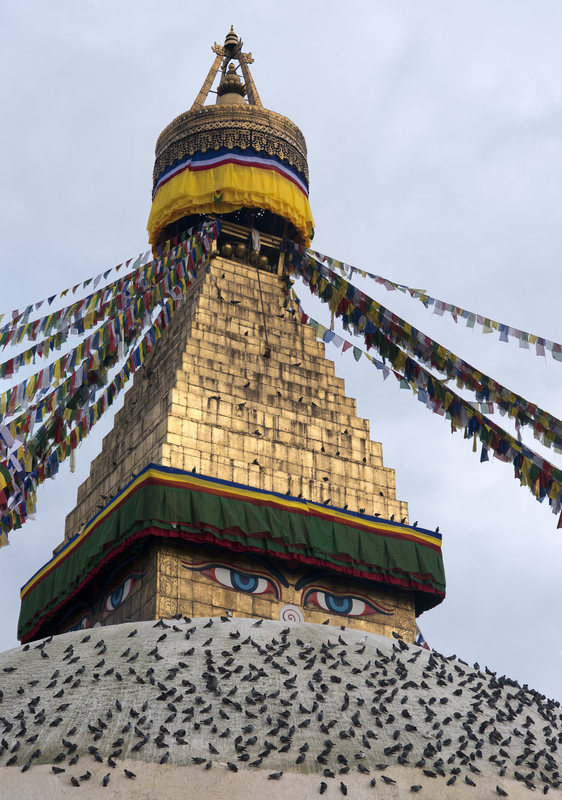 Samkhya Darshan: Yogic Perspective on Theories of Realism. Munger, Bihar, India: Yoga Publications Trust, 2008. ———The Mystery of Skara Brae. Rochester, Vt.: Inner Traditions, 2016. Tregear, Edward. The Aryan Maori. Wellington, New Zealand: George Didsbury, Government Printer, 1885. ———. The Maori-Polynesian Comparative Dictionary. Wellington, New Zealand: Lyon and Blair, 1891. ———. The Maori Race. Wanganui, New Zealand, A. D. Willis, Printer and Publisher, 1904. Laird Scranton is an independent software designer who became interested in Dogon mythology and symbolism in the early 1990s. He has studied ancient myth, language, and cosmology since 1997 and has been a lecturer at Colgate University. He also appears in John Anthony West’s Magical Egypt DVD series. He lives in Albany, New York. Thank You. I very much enjoyed your presentation (shared by Mufon) Where Did the The Dogon Tribe of Mali Get This Incredible Ancient Knowledge … I have watched it 3 times now, and each time I pick up more and more. Lots of incredible information. I really appreciate your approach. Your logic flow does you credit and your open mindedness is really refreshing. Again, thank you for sharing this article on the Maori.